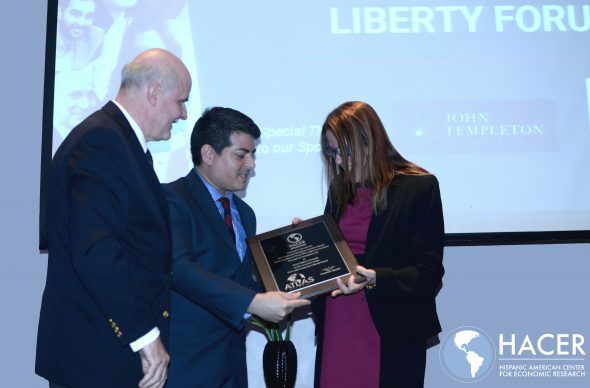 Rocío Guijarro Saucedo receives the Giancarlo Ibárgüen Freedom Award during the Latin America Liberty Forum organized in Argentina by the Atlas Network. The Board of Directors and our collaborators of HACER are honored to announce the Giancarlo Ibárgüen Freedom Award. This prize was designed to incentivize work that promotes personal liberty in a way that is consistent with human dignity. 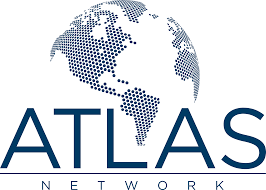 The 2017 Giancarlo Ibárgüen Freedom Award was given to Rocío Guijarro Saucedo at the second Latin America Liberty Forum organized by Atlas Network. The leaders of both organizations would like to join us in congratulating all the people who have worked so hard to make these efforts possible. We are especially thankful for the support of one generous donor, whose admiration for Giancarlo Ibárgüen’s career was instrumental in allowing us to honor him.